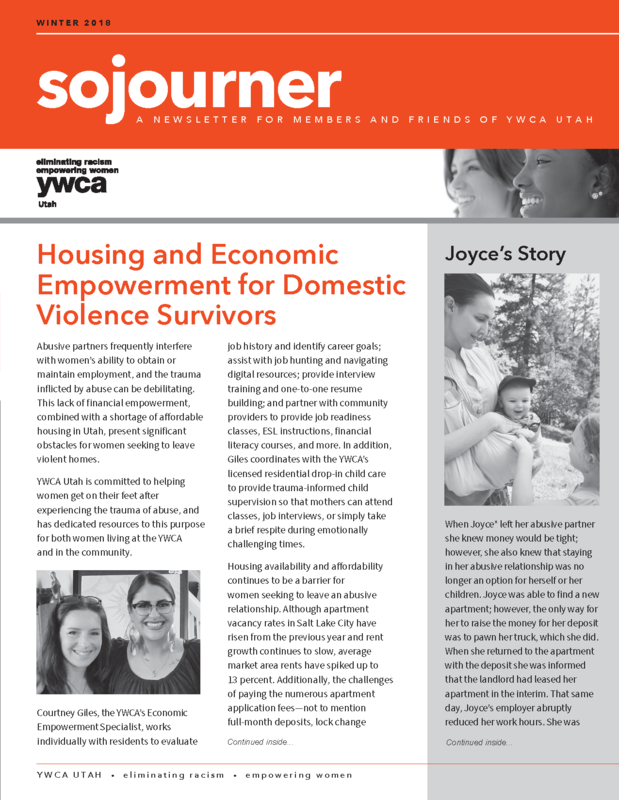 A newsletter for members and friends of YWCA Utah. Abusive partners frequently interfere with women’s ability to obtain or maintain employment, and the trauma inflicted by abuse can be debilitating. This lack of financial empowerment, combined with a shortage of affordable housing in Utah, present significant obstacles for women seeking to leave violent homes. YWCA Utah is committed to helping women get on their feet after experiencing the trauma of abuse, and has dedicated resources to this purpose for both women living at the YWCA and in the community . . . Read the full newsletter.